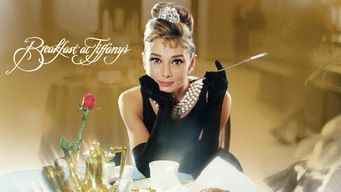 How to watch Breakfast at Tiffany's (1961) on Netflix USA! Sorry, Breakfast at Tiffany's is not available on American Netflix. We check Netflix hundreds of times a day, so you can check back regularly to see when it appears for streaming. We'll keep checking Netflix USA for Breakfast at Tiffany's, and this page will be updated with any changes. Fortune hunter Holly Golightly finds herself captivated by aspiring writer Paul Varjak, who moves into her building on a wealthy woman's dime. Charming chaos follows an eccentric charmer throughout New York City. But is her life just one big cocktail party?